Built in 1854, by Isaac N. Roop. First called Roop House, and used as stopping place by emigrant trains. It was the locale of the Sagebrush War, fought in 1863, between Plumas County, and Lassen County citizens. Erected by Susanville Parlor No. 243. We were unable to locate a California Bear Flag marker for Roop's Fort. 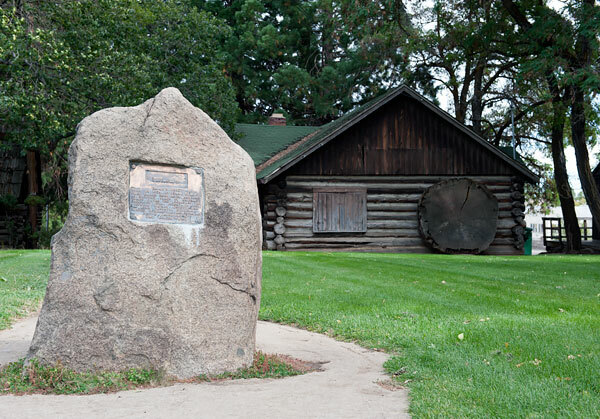 The California Office of Historic Preservation offers the following citation at ohp.parks.ca.gov. Built in July 1854 by Isaac N. Roop, Roop House was a stopping place for emigrant trains. It was the locale of the 'sagebrush war' fought in 1863 between the citizens of Plumas County and Lassen County. 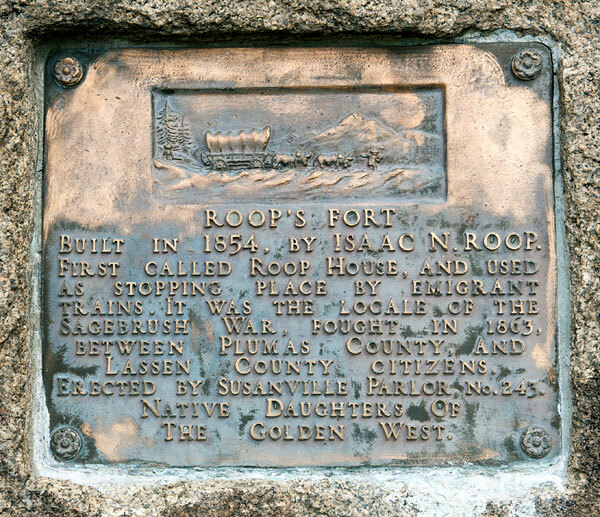 Roop's Fort is listed on the National Register of Historic Places.